On February 10, 2018, Chicago preservation architect Wilbert R. Hasbrouck passed away at the age of 86. Considered one of the “founding fathers” of the preservation movement in Chicago, his projects included some of the most recognizable buildings in Chicago and the Midwest including Frank Lloyd Wright’s Dana-Thomas House in Springfield, Louis Sullivan’s Peoples Savings Bank in Cedar Rapids, Iowa, and William Le Baron Jenney’s Manhattan Building. As co-editor and co-publisher of the Prairie School Review with his wife Marilyn, and as author of the monumental volume The Chicago Architectural Club: Prelude to the Modern, his scholarship helped generations of architects and preservationists to understand and interpret the buildings he fought so hard to save. 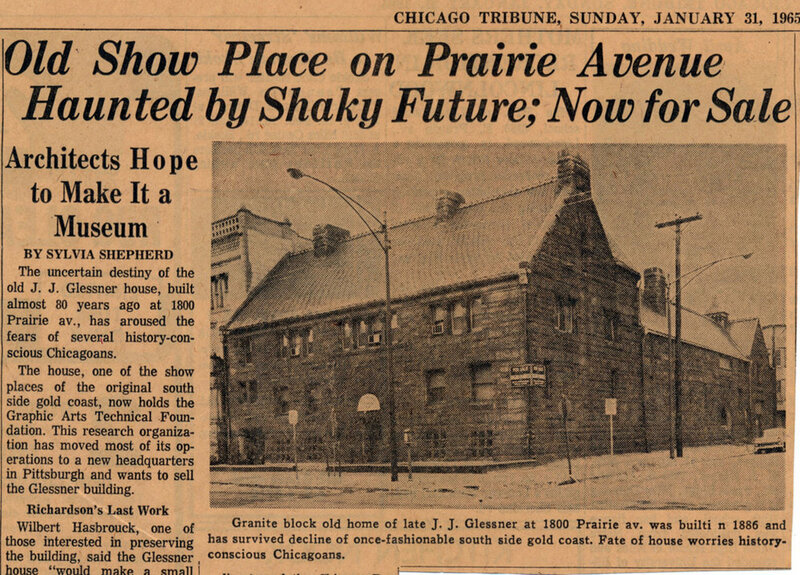 In this article, we will look at his significant work in preserving Glessner House and the surrounding Prairie Avenue neighborhood. Hasbrouck’s involvement with Glessner House began in November 1963, at a time when he was serving as chairman of the preservation committee of the Chicago Chapter of the American Institute of Architects (AIA). He learned that the current owner of the house, the Lithographic Technical Foundation, planned to move to Pittsburgh and put the house up for sale. A meeting was arranged between Foundation executives and Hasbrouck, along with Joseph Benson (secretary of the Commission on Chicago Landmarks), and Marian Despres, wife of Alderman Leon Despres. Soon after the meeting, Hasbrouck prepared a report which he submitted to the AIA, stating in part, “Regardless of what final use is made of this building, I feel the AIA must take a major advisory role in its disposition. The Glessner House is too important a structure to go the way of the Garrick.” The reference was to Adler & Sullivan’s Garrick Theater, which had been razed in early 1961. Hasbrouck was among a small group of preservationists, including Richard Nickel, John Vinci, Ben Weese, Tom Stauffer and Alderman Leon Despres, who had fought unsuccessfully to save what was considered one of Sullivan’s masterpieces. Hasbrouck and others continued to monitor the Glessner House, and when it was put up for sale in early 1965, he was quick to voice his concern over its future. The first article about the fate of the house appeared in the Chicago Tribune on January 31, 1965. In the article, ominously titled “Old Show Place on Prairie Avenue Haunted By Shaky Future; Now For Sale,” Hasbrouck was quoted as saying the house was “a choice piece of property” and must be adaptively reused and preserved. Over the next several months, Hasbrouck, and several others, worked hard to find a way to save the house and build a financially sustainable plan for its preservation. On April 16, 1966, Hasbrouck was among 20 individuals who organized the Chicago School of Architecture Foundation with the specific goal of purchasing and maintaining Glessner House. In December 1966, the Foundation purchased the house for $35,000 and its future was secured. That same month, Hasbrouck was appointed president of the board, serving for four years. In those first few years, he helped to bring additional support to the house through his connections in the architectural community, participated in planning and executing exhibitions, and overall raising the profile of the house. 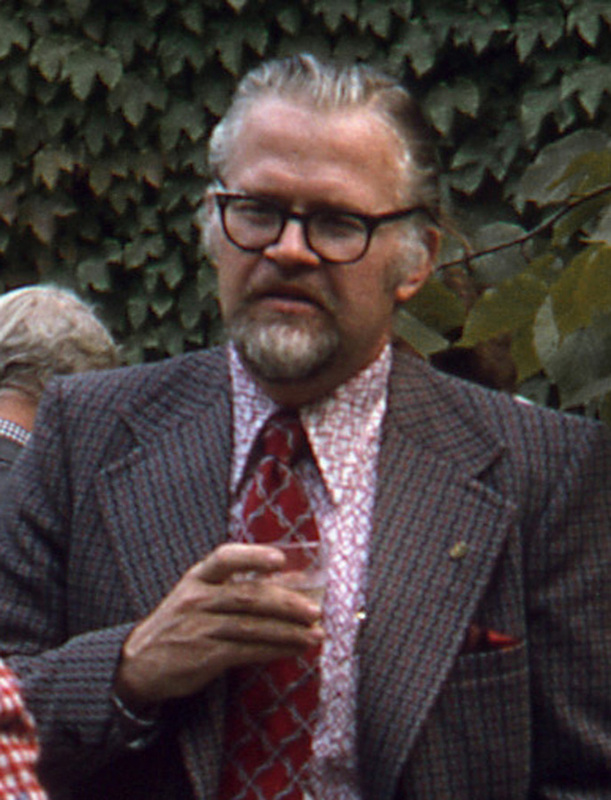 In 1971, he was one of several architects selected to provide training to the first class of docents, and he continued to do so for several years. With Glessner House secure, the Foundation turned its attention to the surrounding community and the small number of historic houses still standing on Prairie Avenue. Concern for the neighboring houses was heightened when the company that owned three of the structures (the Kimball, Colman, and Keith houses) put them up for sale. Although there had been some discussion with the City of Chicago regarding the creation of an historic district, nothing had been formalized, so the buildings were still vulnerable. Hasbrouck and his wife went so far as to purchase the Keith house at 1900 S. Prairie Ave. to ensure its protection until the district could be officially designated. Having started their publication, Prairie School Review, a decade earlier, they moved its operation into the house, and Marilyn opened her Prairie Avenue Bookshop, which went on to become a leading architectural bookstore in the United States. The Hasbroucks sold the building in 1978, once its landmark designation was assured, and the Bookshop relocated downtown. As a preservation architect, Hasbrouck was also involved in the first major interior restoration project at Glessner House. In 1974, he received the contract to undertake the restoration of the kitchen wing, including the main kitchen, butler’s pantry, dry pantry, cold closet, and servants’ dining hall. Extensive research was undertaken to determine the features that had been lost, and a detailed plan was drafted for its full restoration. The restored spaces gave visitors an accurate glimpse into the servants’ portion of the house during the Glessner occupancy. Shortly after, additional documentation, including original building specifications, were obtained, verifying that the project was accurate down to the smallest detail. In 1975, Hasbrouck received another commission that would have a profound effect on the surrounding historic district. His firm was hired to move the Clarke House, Chicago’s oldest surviving structure, from its location at 4526 S. Wabash Avenue, back into the neighborhood in which it had been constructed in 1836. The project was complex – moving a 120-ton structure nearly 3-1/2 miles, and most significantly, over the Green Line elevated tracks at 44th Street. The house was successfully moved in December 1977 and following extensive restoration, opened as a house museum in 1982. On April 16, 2016, Glessner House celebrated its 50th anniversary with a 1960s-themed celebration entitled Peace, Love, and Presentation. The highlight of the evening was to honor five of the surviving individuals who had labored long and hard to save the house – Wilbert Hasbrouck, Ben Weese, Dirk Lohan, Wayne Benjamin, and Paul Lurie. Each was presented with a framed certificate that included a picture of the house as it appeared in 1966, and a modern photo, showing the dramatic change from a soot-covered threatened building to a Chicago treasure, beautifully restored and accessible to visitors from around the world. It was a fitting way to thank Wilbert Hasbrouck and the others for the profound impact they had on Glessner House and the preservation movement in Chicago. Glessner House is very pleased to announce the creation of the Wilbert R. Hasbrouck Historic Preservation Lecture Series to both honor his years of dedicated service to the organization, and to continue to educate future audiences about the importance and impact of historic preservation on our communities. The series will consist of an annual lecture presented by an expert in the field who will speak on some aspect of preservation – past, present, or future. The first lecture, to take place on Wednesday May 16, 2018, will focus on the career of John Vinci, who worked beside Hasbrouck in saving Glessner House. 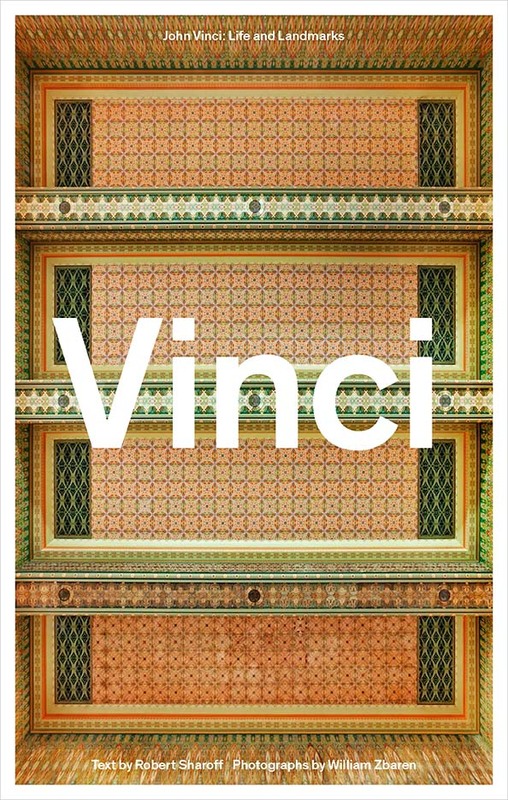 Vinci is the subject of an impressive and beautifully illustrated new book released in 2017, and he and the authors will be present for this inaugural lecture in the series. We are deeply grateful to Paul and Margaret Lurie, long-time friends of the Hasbroucks, for providing initial funding for the first several years of the series. Additional gifts are being sought to continue the series so that it can become a permanent fixture in our offerings to the preservation community.